Amara Okereke made history in Les Misérables at the Queen’s Theatre, London, where she became the first actress of colour to play the role of Cosette; Gus Gowland composed the warm and evocative score for Pieces of String at the Mercury Theatre, Colchester; and Louis Gaunt left a winner for his impressive supporting role in Oklahoma! at Grange Park Opera. 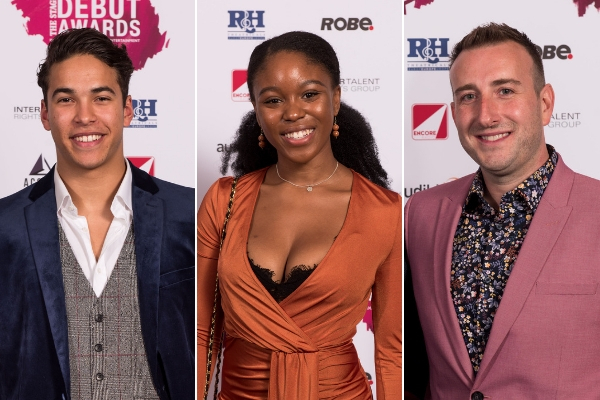 The Stage Debut Awards celebrate the very best breakthrough talent in theatre, from actors and directors to designers, writers, composers and lyricists, all of whom have made their professional debuts in the past year. These awards are the first of their kind to recognise outstanding emerging talent.